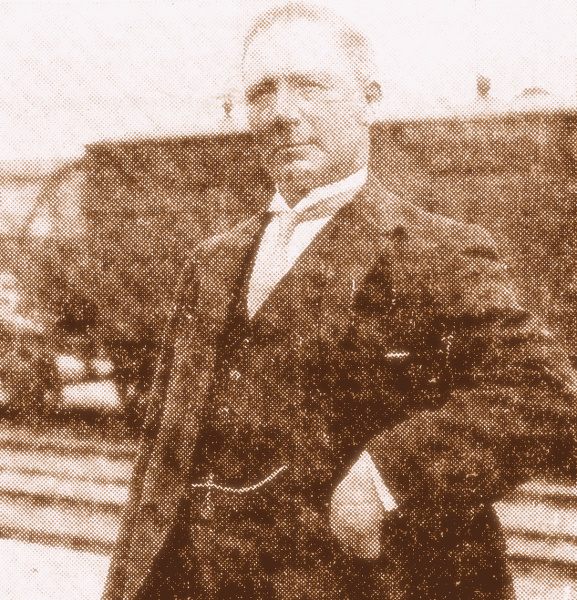 Alexander Robertson Birnie, born 1877 in King Edward Parish, Aberdeenshire became an employee of the Great North of Scotland Railway Co. in 1895 and initially worked at Aberdeen Waterloo Station. In 1909, having move around the railway system, he was posted to Alford with his wife and family. Here he wrote the play "Pig Charlie" and about forty poems in the span of three years until he was moved to Aboyne in 1912. He continued to write in his spare time, eventually retiring as Stationmaster from Lossiemouth in 1942 before his death in Dufftown in 1951. Some of his poetry was published in 1983 in the pamphlet "A Balmy Breeze Frae Alford".